Kurage station 48" x 48" mat? Discussion in 'Micro Art Studio' started by The_Evergrey_One, Mar 9, 2018. Harlekin, Zewrath and Belgrim like this. I would love some new mats from MAS. I have 2 of them and I haven't found any other that would be even close to the level of quality. Awesome mats. DO IT!! Been looking for a "Red Veil" mat but I'd prefer a Kurage Station one any day(if licensing allows...) ! Take my money! Dragonstriker and Zewrath like this. Firstly we appreciate your feedback because it helps us make even better products. We do have plans for those mats but unfortunately, we cannot tell you the exact time. Xeurian, Zewrath, Yoshimoto74 and 2 others like this. All we wanted to know. @MAS_Andrew any update on this? 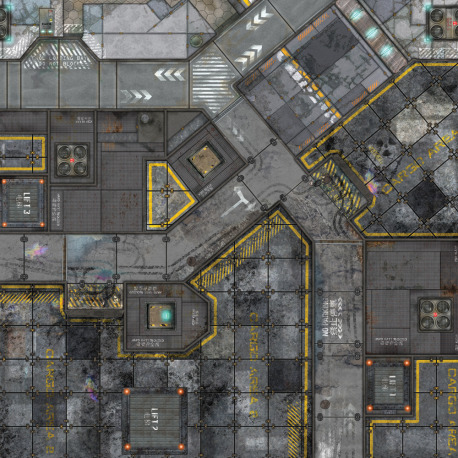 Any plans to do a 4x4 version of the Operation: Coldfront mat? I'd like to know this as well. 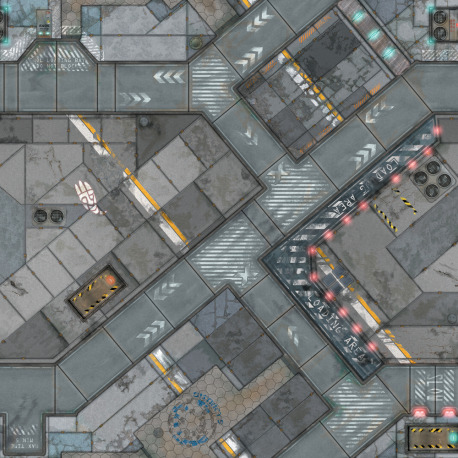 I think the Precinct Sigma terrain painted up in white and purple would look killer on this mat. Is there any word on a release for ANY of the mats that have not been made?! You guys are sitting on money and seem not to want it, lol. I would gladly buy Red Veil, Hephaestus, Kurage and Aplekton as soon as you released them. I think a LOT of other players would too. Dragonstriker, Abydog, Harlekin and 2 others like this. I guess @MAS_Andrew is no longer part of MAS or these Forums? They're too busy hawking stuff for SW: Legion now. I dunno, they recently launched a new line for Infinity that's JSA themed. Shame we didn't get a Kurage station mat at the same time. This might be interesting for you all! 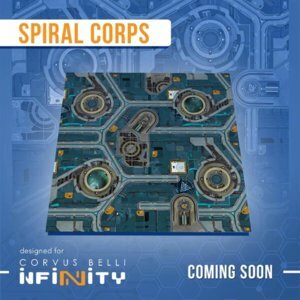 We proudly announce that our Infinity mats are coming back to our shop. 3. Q2 2019 - Red Veil or Coldfront. Below you can take a look at the first two mats. For now, it is a preorder so it may take about two weeks to receive them. Dragonstriker, Griffapopolis and colbrook like this. Any info on a Kurage mat to match the JSA Army box? Bump,really need a mat and would love to get a Kurage Station one. Any news? That's an awesome NOT Kurage, Hephaestus, Aplekton mat.